Fondée en 1946 sous le nom de Silver City Airways, elle fut rebaptisée British United Air Ferries (BUA) en janvier 1963 lorsqu'elle fusionna avec Channel Airbridge. Elle s'appela ensuite British Air Ferries en septembre 1967. Le nom Bristish World Airlines fut adopté le 6 avril 1993. Cessa les activités le 14 décembre 2001. U.K. Originally founded in 1946 as Silver City Airways. It became British United Air Ferries in January 1963 when merging with Channel Airbridge, and changed its name to British Air Ferries (BAF) in September 1967. 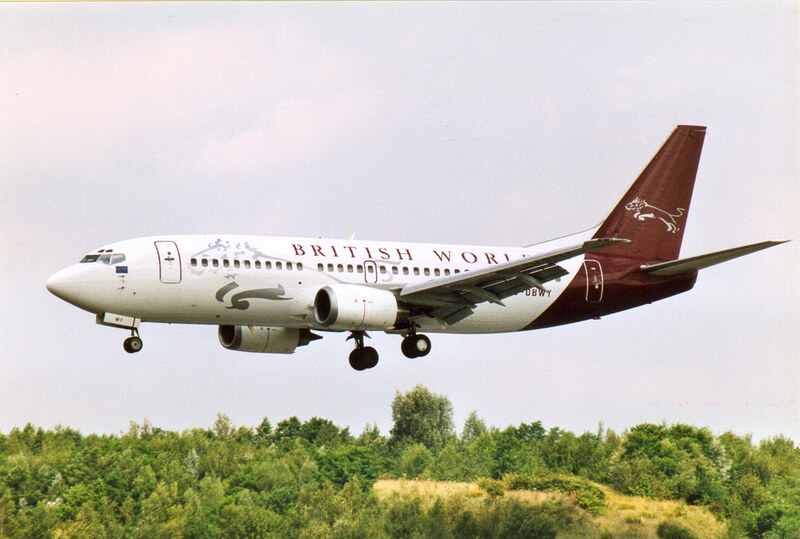 The name British World Airlines was adopted on 6 April 1993. Ceased operations on 14 December 2001.